Birth Mary Jane Steele was born at AustraliaG. Marriage 5 February 1847 Mary Jane was married to George Thomas Bean, son of William Bean and Elizabeth Bradley, on Friday, 5 February 1847. Married Name 1847 As of 5 February 1847, her married name was Mary Jane Bean. He was the son of George Thomas Bean and Mary Jane Steele. He also had money invested in mortgages. [S2] Index of BDM records, NSW BDM, Place of Marriage Registration: Paddington; Year: 1872; Number: 1201. [S2] Index of BDM records, NSW BDM, Place of Marriage Registration: Glebe; Year: 1879; Number: 1635. [S106] Death Certificate, Place of death shown as Wentworthville, Robert Mote, 1 Ringrose Crescent, Isaacs, ACT, Australia. [S2] Index of BDM records, NSW BDM, Place of Marriage Registration: Waverley; Year: 1908; Number: 12483. [S2] Index of BDM records, NSW BDM, Place of Birth Registration: Glebe; Year: 1872; Number: 3564. [S2] Index of BDM records, NSW BDM, Place of Birth Registration: Concord; Year: 1874; Number: 3652. [S2] Index of BDM records, NSW BDM, Place of Birth Registration: Concord; Year: 1875; Number: 3704. [S2] Index of BDM records, NSW BDM, Place of Birth Registration: Glebe; Year: 1880; Number: 5028. [S2] Index of BDM records, NSW BDM, Place of Birth Registration: Glebe; Year: 1887; Number: 7690. Birth Thomas Tipple Smith was born at Suffolk, EnglandG; His brother William Tipple Smith (1803 - 1852) was born in Aldeburgh, Suffolk. Death Thomas Tipple Smith died at Sydney, NSW, AustraliaG. Burial He was buried at the cemetery, Balmain, NSW, AustraliaG. Occupation Thomas Tipple Smith was a builder at Castlereagh Street, Sydney, NSW, AustraliaG. Article Thomas Tipple Smith, his brother and two business men from Sydney built the blast furnace at the Fitzroy Iron Works at Mittagong. [S2] Index of BDM records, NSW BDM, Denomination: Presbyterian; Parish: Sydney, St Andrew's Scots Church; Registration Year: 1836; Volume Reference: V18362825 74A. Death William Campbell died at AustraliaG. She was the daughter of William Shelley and Susannah Marsden Hassall. Marriage 12 April 1848 Elizabeth Mary was married to John Leigh Oakes, son of Reverend Francis Oakes and Rebecca Small, on Wednesday, 12 April 1848 at St John's Church of England, Parramatta, NSW, AustraliaG. Married Name 1848 As of 12 April 1848, her married name was Elizabeth Mary Oakes. [S62] Geof Shelley, Shelley/Bean tree, record # 9. [S2] Index of BDM records, NSW BDM, Place of Death Registration: Bathurst; Registration Year: 1912; Registration Number: 4853. Birth 2 April 1798 Esther Beckett was born on Monday, 2 April 1798 at Parramatta, NSW, AustraliaG. She was the daughter of James Becket and Ann Calcut. Marriage Esther was married to George Tuckwell, son of Richard Tuckwell and Elizabeth Budden, at Parramatta, NSWG. Death 24 August 1840 Esther Beckett died on Monday, 24 August 1840 at Parramatta, NSWG, at age 42. Burial 25 August 1840 She was buried on 25 August 1840 at St John's, Parramatta, NSW, AustraliaG. Married Name 1812 As of 20 January 1812, her married name was Hendle. Married Name Her married name was Tuckwell. Married Name 1832 As of 24 July 1832, her married name was James. [S2] Index of BDM records, NSW BDM, Place of Registration: Parramatta, St John's; Registration Year: 1812; Registration Number: V18121318 3A. [S2] Index of BDM records, NSW BDM, Parish of Registration: Parramatta, St John's; Year: 1832; Number: V1832896 16. 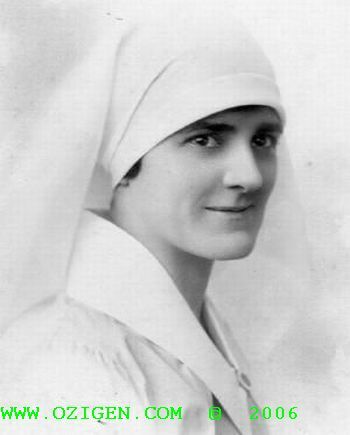 Birth 1 September 1890 Ruby Moule was born on Monday, 1 September 1890 at AustraliaG. She was the daughter of Frederick George Moule and Elizabeth Alt. Death 6 September 1978 Ruby Moule died on Wednesday, 6 September 1978 at Manly, NSW, AustraliaG, at age 88. Married Name 1911 As of 4 September 1911, her married name was Passmore. [S2] Index of BDM records, NSW BDM, Place of Registration: Yass; Year: 1911; Number: 11289. He was the son of John James Passmore and Elizabeth Walsh. 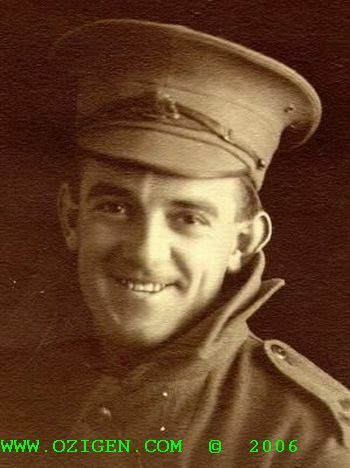 Death 21 October 1952 Frederick Maurice Passmore died on Tuesday, 21 October 1952 at AustraliaG at age 71. [S2] Index of BDM records, NSW BDM, Place of Registration: Murrumburrah; Year: 1881; Number: 28874. Birth 27 March 1910 Ronald Harold Osbourne was born on Sunday, 27 March 1910 at AustraliaG. Death 26 November 1995 He died on Sunday, 26 November 1995 at Canberra, ACT, AustraliaG, at age 85. He was the son of John Alt and Mary Ann Crawford Smith. Death 4 September 1965 Lindsay Alan Alt died on Saturday, 4 September 1965 at Gunnedah, NSW, AustraliaG, at age 73. [S2] Index of BDM records, NSW BDM, Place of Registration: Goulburn; Year of Registration: 1892; Registration Number: 14511. [S2] Index of BDM records, NSW BDM, Place of Registration: Sydney; Year of Registration: 1933; Registration Number: 9666. She was the daughter of John Alt and Mary Ann Crawford Smith. Death 18 January 1970 Edith Margaret Alt died on Sunday, 18 January 1970 at Gordon, NSW, AustraliaG, at age 74. [S2] Index of BDM records, NSW BDM, Place of Registration: St Leonards; Year of Registration: 1895; Registration Number: 28441. End-Line Colin Wardrop Alt has no known descendants. [S2] Index of BDM records, NSW BDM, Place of Registration: St Leonards; Year of Registration: 1901; Registration Number: 7365. [S2] Index of BDM records, NSW BDM, Place of Registration: Blayney; Year of Registration: 1904; Registration Number: 8629.